“To summarise the entire NDP experience, I would say I went in with my ego in mind and came out with love, appreciation and understanding. 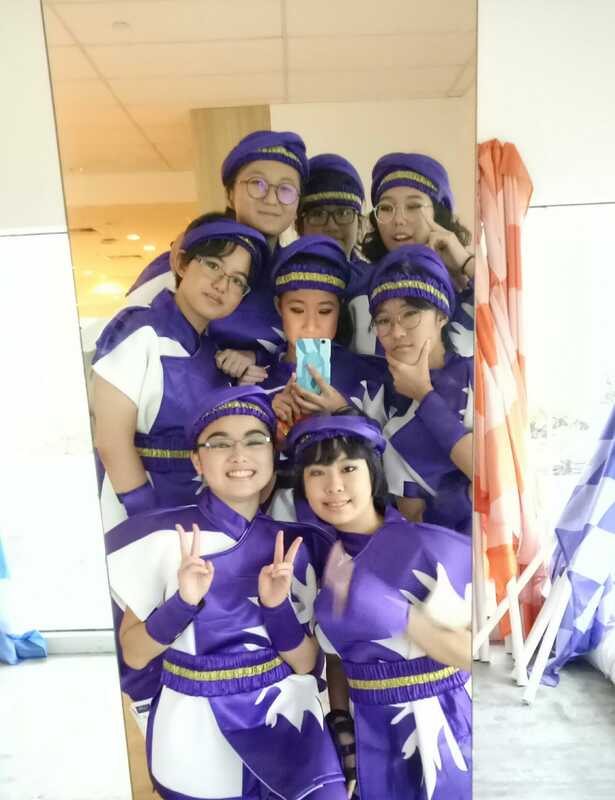 During lessons a week before the June holidays started, I received an email with a link to sign up for NDP, as a collaboration with the Singapore Cancer Society to perform alongside cancer survivors. 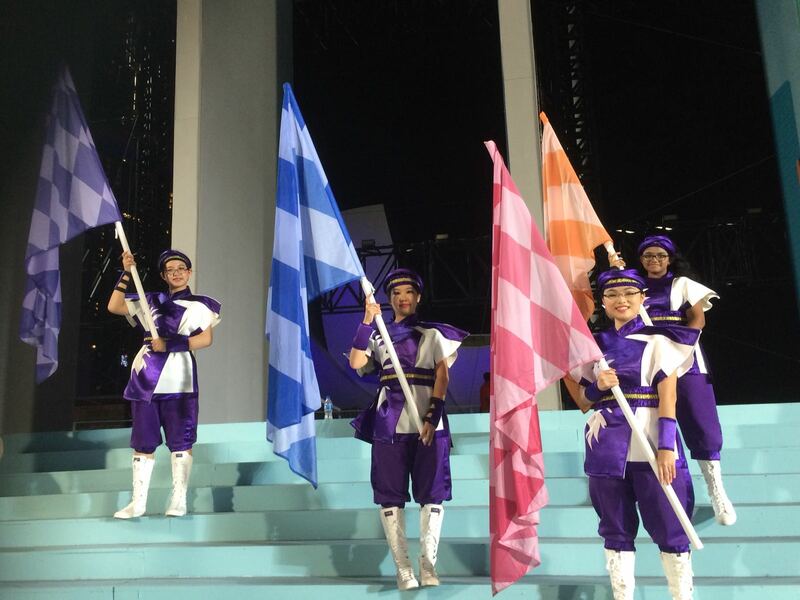 Now, who wouldn’t want to perform in NDP? Who wouldn’t want to stand on the big stage and show everyone how important an event they’re participating in? Wouldn’t that be great to glamourise one’s profile with? Just like that, I mashed in my particulars to sign myself up for what would be the best twelve-week long journey I would ever have had in my life. I’ll keep this simple and frank – it was tiring. It wore me down to the bone and squeezed out every ounce of energy I had every Saturday. Standing under the sun for hours on end, repeating choreography with flags that made our arms ache from swinging them around all day, getting slapped in the face by careless flagbearers, training over and over just to make sure my flag didn’t fold up while swinging in different directions, sunburns on every inch of my skin – all broke me down into an exhausted mess that collapsed into bed upon reaching home. My parents and I had a tiff one day, their primary concerns being me potentially getting too drained to study properly and hating it for being so tiring. I promised them I wouldn’t do any of that. Why would I, if the payout was getting to look important participating in such a big event? I kept my promise, but more importantly, I changed my mindset about that reward. 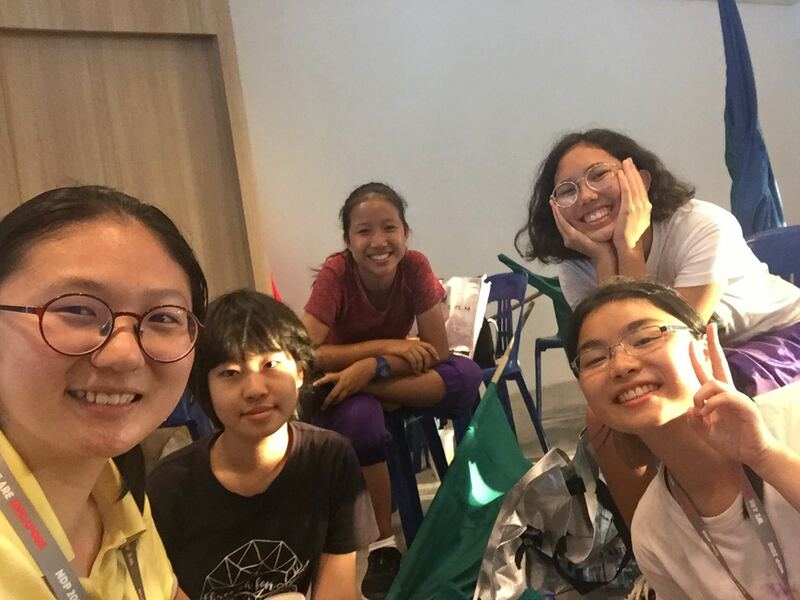 Before signing up for NDP, I used to spend my Saturdays studying in the morning and afternoon, then joining my family for dinner and dessert outside. It was a warm and happy occasion every week, but all work and no play made me a dull girl. My grandmother couldn’t possibly go on volunteering activities or cycle at the beach, so activities were confined to eating and talking, and that was fine. But when I volunteered for NDP and tired myself out every week, it felt like every bit of boredom that constant routine gave me was wrung out of each corner of my body. There was something to look forward to, a highlight that ended each week with a bang. And then we moved our rehearsals to the Marina Bay Floating Platform. It was the real deal there. Soldiers, marching contingents, performers from other acts flooded the stands, waiting for their turn to rehearse. It was hot, bright, terribly humid, and during our component rehearsal, a performer from our act was on the verge of a heat stroke. At night, there were lights all over the stage and speakers in every corner of the platform. Before each show, people would feed us with food and drink, handing out bottles of water at every point. 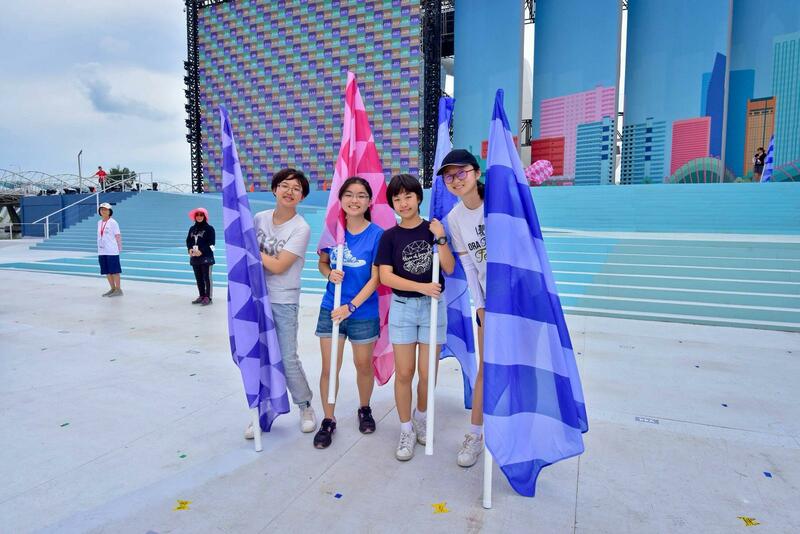 But that was when I understood just how hard every participant – be it backstage helpers, light and sound technicians, cheerers or performers – had been working. In the afternoon, the moment that performer felt faint, a stretcher was rushed over and she was brought under shade in a mere couple of minutes. During runs of our performance, technicians timed lights, sound and props to play at exactly the right time. Throughout the day, helpers would make sure every single performer was well-fed and happy. It wasn’t just the performers who worked hard. Behind the scenes, behind those beautiful songs and energetic dancing and choreography, were people supporting us throughout our entire journey, spending the time they could have saved for rest to encourage and take care of us. I grew to understand the sheer amount of work put into every NDP, and I learnt to appreciate every participant’s hard work, no matter what their role might be in the grand scheme of things. With that were my friends, the ones who had been with me from the start, and the ones I made during the journey. There was a total of eight people who signed up through my school. I had known a few people who joined this event too, and it was fun practising and training with them every week. They were the only ones I stayed with during the first month of rehearsals, though, and it was monotonous to talk to the same people every week. So, I shifted my attention to the other four and other performers around me. At first, it was awkward between us, not having known each other at all and being on entirely different wavelengths. We were tentative with our words and we fed each other with small talk. That soon changed, though, as the rehearsals progressed and we began to talk more. I grew to love them as much as I loved the practise sessions, each week filled with happy banter and hysterical laughter over anecdotes. 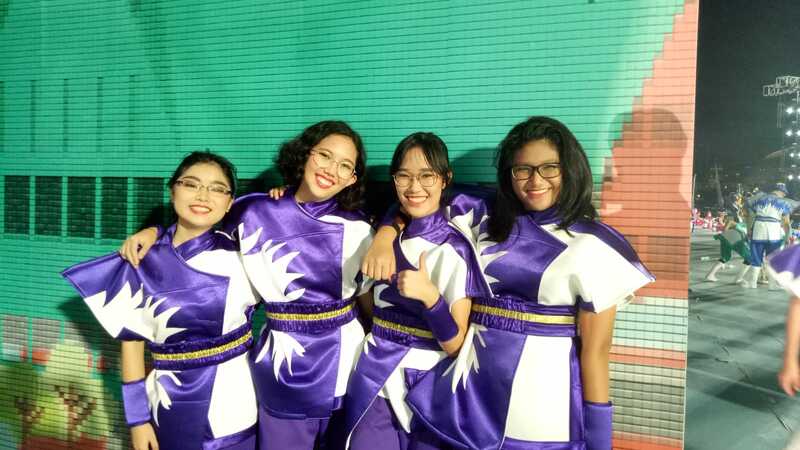 I performed not with the solitude of a single performer amidst hundreds of other participants, but rather with the shared understanding that we were all in this together, and that we had each other’s backs no matter what happened. At that point, it wasn’t about me anymore. Sure, I had my five seconds of fame on national television on that special day, I had texts flooding my phone from every social media app I had on my phone to tell me they saw me, that I did a good job, and that I looked wonderful, but my ego wasn’t important anymore. It was all for the fun, for the love shared between me and everyone else, for the people who had been there for us from the very start.